Come and Join us the fun for 3 days! 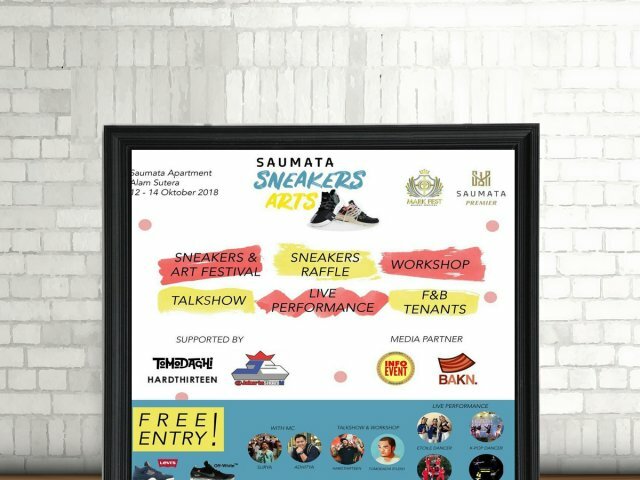 Whats going on at Saumata Apartment Alam Sutera? We had, Sneakers exhibition and raffle to win Jordan 4 X Levis and Nike Vapormax. x Off-White For Retail! And also Doodle Art Sneakers and Digital Printing Workshop by @studiotomodachi. We had also Talkshow with the one and only @hardthirteen about Art OF Sneakers. who craving for something to eat? Bcos we have F&B tenant join the event! Yeaaah! And last but not least, Music and Dance Performance! its gonna be fun!.